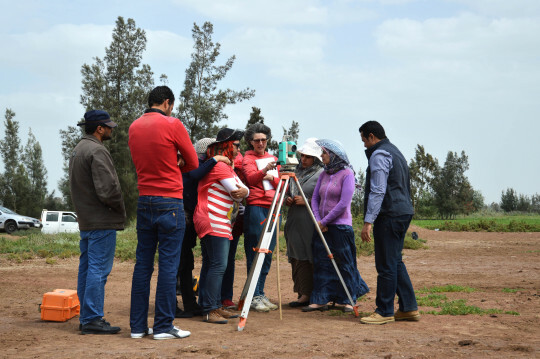 Despite being Director of the Egypt Exploration Society, I haven’t written a lot about fieldwork on this blog but, as you might expect, I have probably given more thought and time to this aspect of our activities than any other in the last couple of years. Right now, is perhaps the most exciting time for the Society’s fieldwork programme for several years. 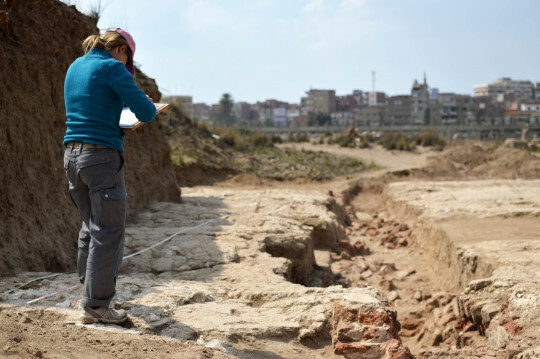 In the last few days the news that one of our teams, led by Dr Joanne Rowland at Quesna, has discovered, uniquely, a Delta mastaba dating to the reign of king Khaba, has hit the news. 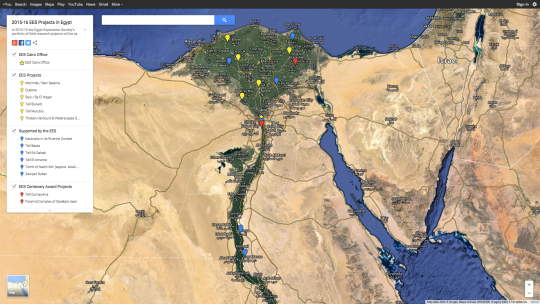 With less fanfare, though it is important in its own way, we have also recently announced a series of new grants for fieldwork, allowing the Society to extend its reach to a greater number of sites throughout Egypt than ever before. We’ve spent a lot of time in the last couple of years overhauling the way we fund fieldwork in Egypt. The previous situation amounted to something of a ‘closed shop’ in which we funded a group of individuals and projects based on agreements made long ago in the past. The projects were largely open-ended, and collectively they absorbed all the funds we had available for field research, which meant the Society was quite restricted in what it could do. We had no possibility of funding other projects or work elsewhere, except in small ways, through, for example, the Centenary Awards, or when additional funds have been available as in 2008 and 2009 when we were able to make small grants from the Excavation Fund for work at sites including Amarna, Ismant El-Kharab, Sesebi and Tell Basta. Don’t get me wrong, this was nobody’s fault, it was just a situation which had arisen organically over many years. I don’t mean to imply any criticism of anybody, and absolutely not of the field directors or their work. 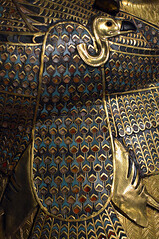 We have been extremely fortunate to have some of the finest archaeologists and some of the most important sites on our books, and that we have been able to retain them all despite the withdrawal of the British Academy’s support which had provided most of the funding required to keep them going for over half a century up to 2009, is a testament to their resourcefulness and loyalty. 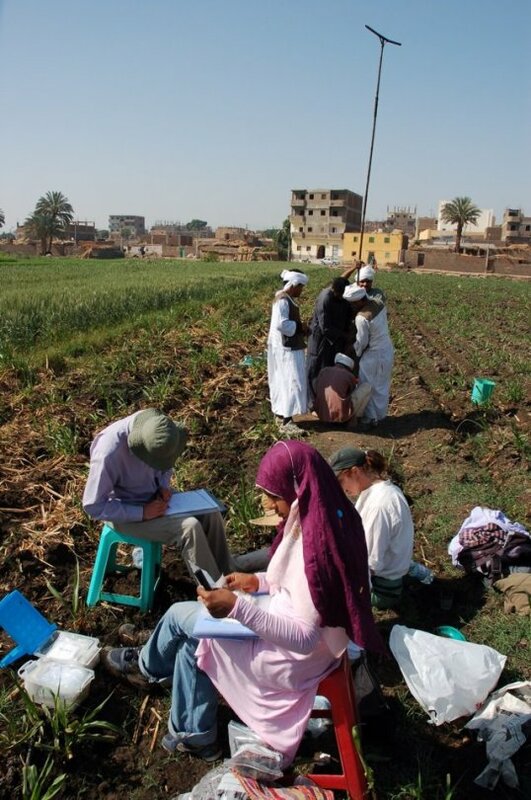 Everybody at the EES can be very proud that thanks to their expertise, imaginative and innovative approaches, and their willingness to share their work so freely and regularly with our members, we remain among the most highly regarded institutions carrying out archaeological fieldwork in Egypt today. The old situation of the British Academy days was glorious in its way. 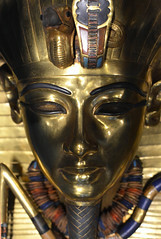 The annual grant-in-aid allowed the Society to put down roots at a series of the most important sites in Egypt over a number of years – Amarna, Memphis and Saqqara, Qasr Ibrim and others – investigating those places to an extent that would have been impossible otherwise, and our knowledge of ancient Egypt is much richer as a result. It also meant that the EES could be the major supporter of these projects in all aspects: not just funding for fieldwork, but publication, an archive to house the original documentation, and an opportunity to engage with ordinary members of the public through the Society’s membership on a scale that was the envy of most, if not all, of the other institutions overseas that the Academy supported. The withdrawal of the Academy grant, understandably, had immediate consequences. 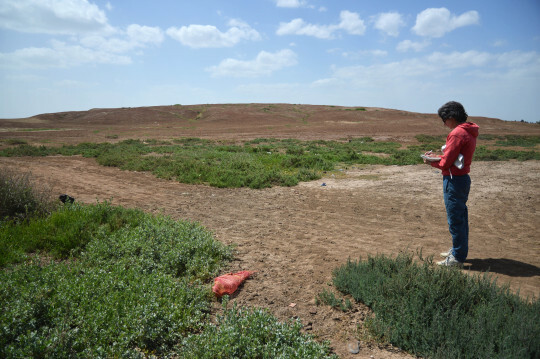 Most dramatically, the Society’s involvement with fieldwork at two of its most important sites – Amarna and Qasr Ibrim – ceased, although we continue to be involved the publication of the results of EES work at both sites. 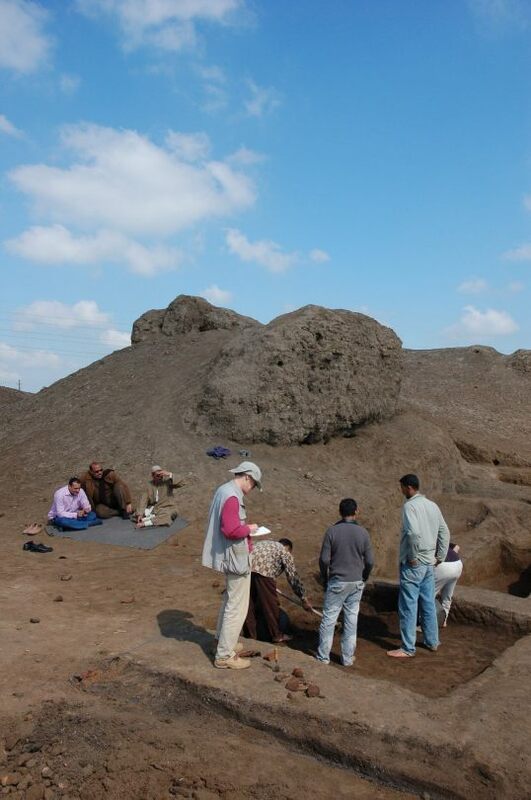 Fortunately for everyone, Professor Barry Kemp was able to continue his work at the former site independently, and his expedition continues to thrive (and is now supported again by the Society, see more below) as The Amarna Project. Unfortunately, the long-running fieldwork at Qasr Ibrim had to cease altogether. For the last few years we have been able to maintain the remaining projects, and have even added one or two more, but all at a much-reduced level in financial terms. Nonetheless, to have achieved this in the face of such a dramatic cut in funding – the amount received from the British Academy each year when we last received it in 2007 was roughly double what we are able to spend now on fieldwork and equates to around one-third of our total income now – represents quite a success I think. We have done so by making savings elsewhere, drawing on reserves and doing everything possible to raise additional funds e.g. for the Excavation Fund, and The Amelia Edwards Projects have also allowed us to provide additional funds for our field teams while also giving our members more of a say in the work that gets done, and our ever-reliable supporters have responded with characteristic generosity to this way of doing things. I had felt for some time however that in addition to doing everything we could to find more money to support our existing projects, we also needed to give ourselves more flexibility to choose where to spend our money each year. Aside from removing a very substantial amount of money from our annual income, the withdrawal of the grant also made things much less certain. In this brave new world, although I was confident that we would be able to raise good amounts of money, I knew we couldn’t rely on it and that some years would be better than others. In a very good year we might be able to provide our teams with everything they needed but in other years we might be forced into making some very difficult decisions as to which projects we could fund and which we could not. It seemed prudent, to say the least, to prepare for that eventuality sooner rather than later. In any case, by this time, the EES could no longer act as the sole supporter of its own projects, as has in fact been the case for several years. Our field directors have all been extremely active in raising funds of their own to supplement what the Society has been able to provide. For example at the beginning of this century Penny Wilson succeeded in getting a major grant from the AHRC for work at Sais which, since that time, has been co-branded as a joint project of the EES and the University of Durham; the Society’s Delta Survey headed by Jeffrey Spencer has for many years been funded by a small grant from the British Academy; Jo Rowland’s work at Quesna has regularly received support from a variety of sources including the Seven Pillars of Wisdom Trust and the German equivalent of the British Academy, the DAAD through her connections to the Freieuniversität Berlin. These projects have, thanks to the efforts of the field Directors, shown how what the Society’s can offer can be made to go so much further in partnership with other institutions and funding bodies. There were two further reasons for wanting to give ourselves a little more flexibility. 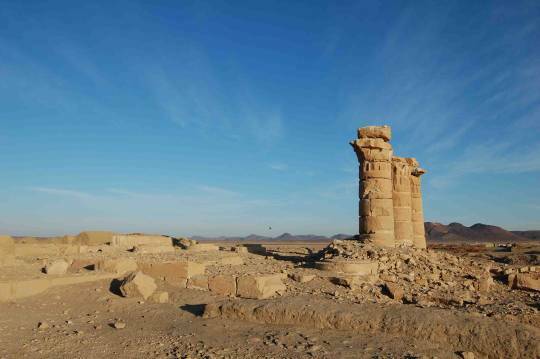 Firstly, since the Arab Spring it has been very clear that ancient sites and monuments remain as threatened perhaps as they ever have been. I felt very strongly that it we were to remain true the vision of our founder, Miss Edwards, we needed to give ourselves every opportunity to direct what resources we have available to the sites and projects that most urgently require them. 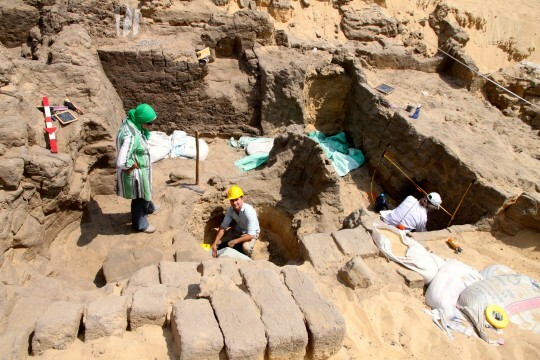 Secondly, doing archaeology in Egypt is just different now. There is a much greater appreciation now that research is only one part of the process and that other things must be considered. 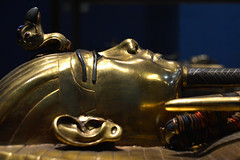 The Ministry of Antiquities has prioritized the training of its employees in field techniques and provided foreign missions like ours with opportunities to play a part in this. There is also a growing appreciation of the importance of ensuring that the results of these investigations can be used to help local communities understand and appreciate the ancient remains all around them, and of the potential this has for helping to ensure their long-term survival. We began the process of changing our process at the beginning of 2013. Thanks to a generous legacy received in 2011 we were able to make £100k available over two years to sustain the existing projects under the old way of doing things. But this came with the difficult message that we could not guarantee to provide them with funding after this point. The new EES grants, which were advertised at the end of last year, represent the new way of doing things. Thanks to further generous legacies received in recent years and members’ continuing generosity in supporting the Excavation Fund, we have been able to set aside approximately £50k in each of the three years beginning on 1 April 2015. We invited applications for grants of up to £15k, stipulating that the applicants must be UK citizens or affiliated to a UK institution – including the EES, meaning any of the existing projects working in the Society’s name would be eligible to apply. I had expected that we would receive applications from the existing EES projects as usual, and hoped we would also receive a good number from projects that were new to the Society, giving us the opportunity to choose from a wider pool, and to compare those that were familiar to us with some that were less so. The outcome, which was announced very recently here, is very satisfying. 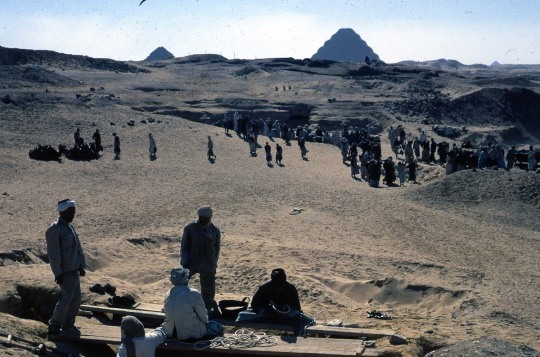 The existing EES projects have in several cases received funding from elsewhere and this has allowed us to support several new ones, at sites in the Delta and Nile Valley, including Tell El-Amarna, representing a very welcome return to a site with which the Society has had very close connections for over a century. Furthermore, we have been a bit more ‘joined up’ in our thinking than in the past: having received (as always) more worthy applications for Centenary Awards in 2014 than we have funds available to support, we decided to fund one or two more of the applications through the main grants and also from some surplus funds available from the British Academy grant for the Delta Survey. All in all, we are now involved in supporting more projects in Egypt at the moment than ever before. The interactive map here provides further details. And in the meantime, if you’re an early career researcher we’d love you to apply for a Centenary Award; we’re currently inviting applications, but the deadline – 1 May, 5.00pm BST – is rapidly approaching. And for anyone eligible to apply for one of the new EES grants, the next round will be announced this autumn.